Healthful eating goes wrong when you fail to plan ahead. 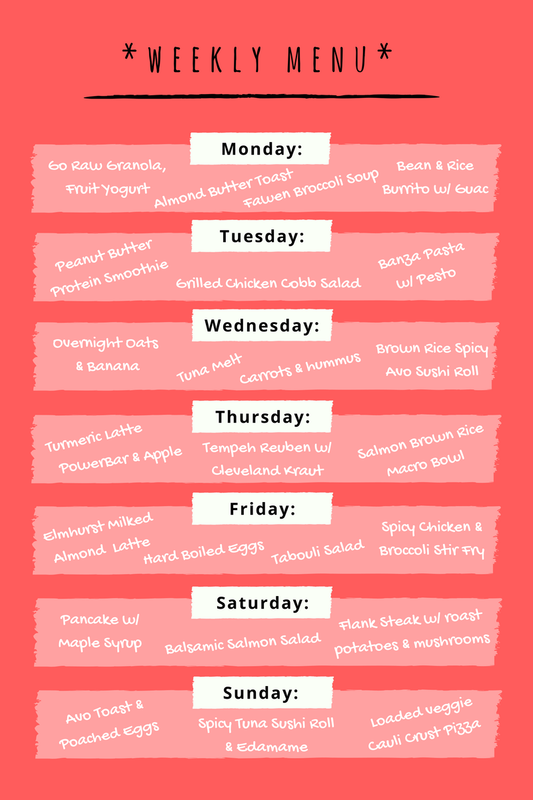 Here is a full week of meal ideas to keep you nourished and on track. Use this for inspiration to create your own weekly menu. I've attached a blank template for you to download and fill in for yourself! Blank Template - Download & fill in your own meal choices, or mix and match the ideas provided above! By jotting down your food choices in advance, you're more likely to stay on track and spend less time each day stressing about what to eat. Need more meal planning inspiration? Check out these past posts.